At the law office of Kennedy Kennedy & Ives in Albuquerque, New Mexico, we provide exceptional advocacy and support to those who experienced a serious violation of their civil rights as well as those suffering from a needless act of violence or abuse at the hands of law enforcement, teachers, clergy, nursing home staff and others who hold authority over them. Serving clients throughout Albuquerque and all across our region, the attorneys at our law firm possess extensive trial experience, and we are fully committed to making our community a safe, welcoming environment for all. As such, we established our law firm in 2003 in order to better serve the needs of our local citizens, particularly our youth and children, who are adversely affected by police misconduct, sexual violence, wrongful death and other matters. Unfortunately, in today's society, there are almost daily occurrences of basic civil violations involving people from all walks of life. All too often, these people feel marginalized with no real support to help them. We provide a voice to those who cannot speak for themselves, and we are extremely proud of being able to advocate on behalf of so many in need in order to help them hold those responsible for their suffering accountable for their actions. 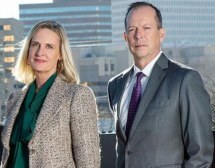 If you have experienced a violation of your rights, you lost a loved one due to another party's negligent or unlawful actions, or you or your child was the victim of sexual abuse, you can contact Kennedy Kennedy & Ives to schedule a free initial consultation to find out how we can best help you obtain the justice you deserve.